That victory was so significant. 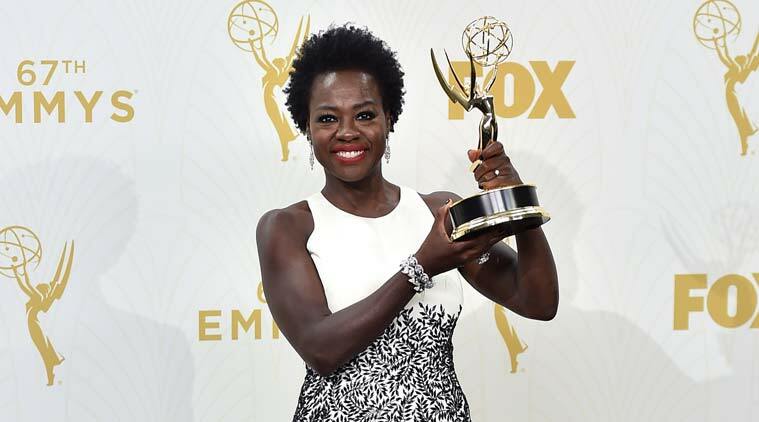 Viola Davis is the first black woman to win the Emmy Award for Best Lead Actress in a Drama Series. The first. And Emmys have been around since 1949. For performers of color who've had to scuffle because the playing field of opportunity has not been a level one, it was a victory for us all. Brava, Viola! Viola Davis was a Best Supporting Actress Oscar nominee for playing the conflicted mother of a Catholic school elementary student in Doubt. She was a Best Actress nominee for playing a 1960s Southern maid in The Help. Like Whoopi Goldberg and like three stars of TV's Empire -- Taraji P. Henson, Gabourey Sidibe and Oscar winner Jennifer Hudson -- Viola Davis turned to television because Hollywood had no good scripts for her. She took a TV role not written specifically for a black woman. The role was Annalise on ABC's HOW TO GET AWAY WITH MURDER. 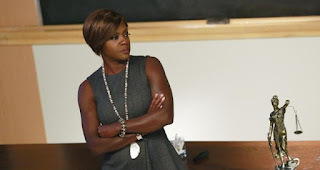 Annalise is a brilliant professor of law. She's also a married woman with a complicated, messy personal life that makes for juicy TV. 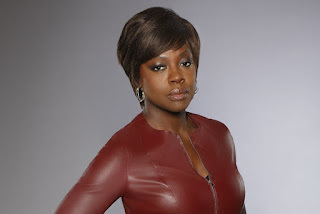 Annalise has a life that involves a murder. How To Get Away With Murder became an instant hit series. And then this happened on Sunday night, September 20th. Listen to the acceptance speech. Viola Davis thanked writer/producer/powerhouse Shonda Rhimes and producer Peter Nowalk for having the imagination to embrace diversity and consider her. That embrace led to Emmy Awards history being made. I worked with Whoopi Goldberg on a national weekday morning radio show. I reviewed movies every Friday. One movie I saw was the September 11th drama, World Trade Center, a 2006 film from Oliver Stone. Nicolas Cage, Maggie Gyllenhaal and Mario Bello were the stars. But there was an actress who had a bit part as a mother in a hospital whose brief performance went through me like sweet electricity. She was, to me, the heart of that movie. Her performance was a statement on what we should all keep in mind about those we love. I stayed through the closing credits to see her name. "Mother in Hospital" was played by...Viola Davis. And then came Doubt followed by The Help on the big screen. Not that it needs to me remade. Who could top the original starring Bette Davis? But...could you imagine a new All About Eve with Viola Davis as Broadway legend Margo Channing and Oscar winer Lupita Nyong'o as Eve Harrington? And if Meryl Streep had not been available to do The Devil Wears Prada, Viola Davis would've been fabulous with a capital F as fear-inducing fashion magazine editor Miranda Priestly. From Hattie McDaniel, Ethel Waters and Dorothy Dandridge to Ruby Dee, Cicely Tyson, Angela Bassett, Alfre Woodard, Diahann Carroll, Diana Ross, Mo'Nique, Best Actress Oscar winner Halle Berry and Viola's Best Supporting Oscar-winning co-star from The Help, Octavia Spencer and Lupita Nyong'o...those are some of the black actresses who received only one Oscar nomination in their film careers. As I've also previously mentioned. the talented Jennifer Lawrence has 3 Oscar nominations, she's taken home one Oscar for Best Actress and she's only 25. Lawrence has many opportunities. 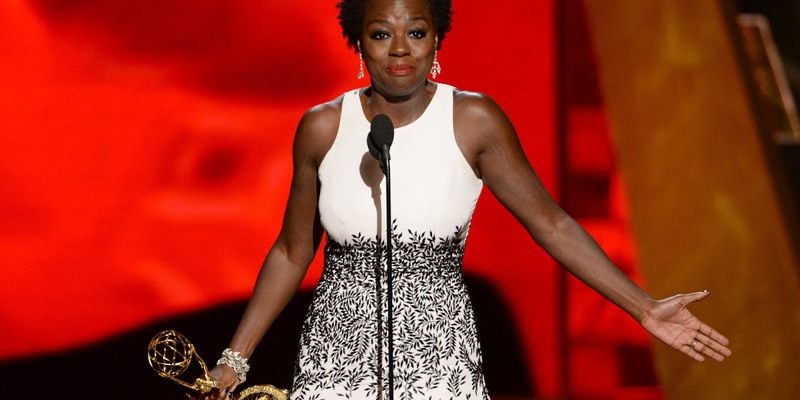 I do believe that, in time, Broadway Tony winner and TV Emmy winner Viola Davis will make Hollywood history again as the first black woman to have three Oscar nominations to her credit. A new season of How To Get Away With Murder starts Thursday night, Sept. 24th, on ABC. Kim and The Pope. Oh, Lord!